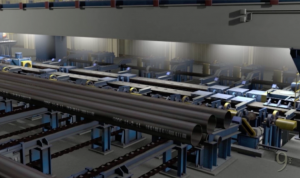 These 3D models of ERW pipe manufacturing and testing equipment inside a steel pipe mill were created based on photographic source material. 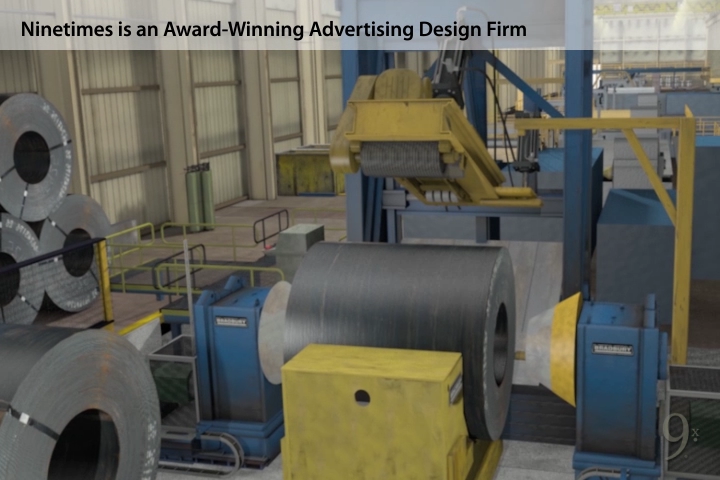 Digitally painted textures were added to bring a level of realism to the facility environment and production equipment. 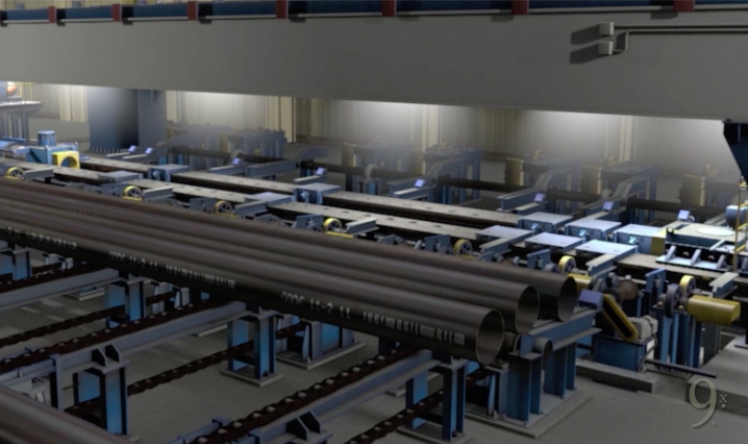 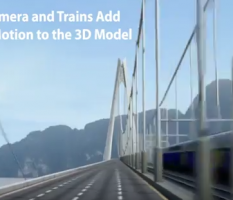 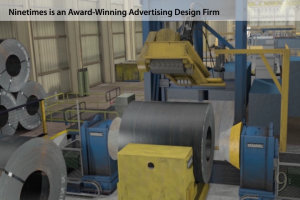 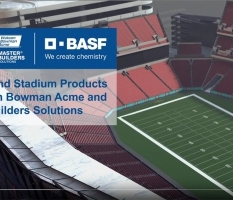 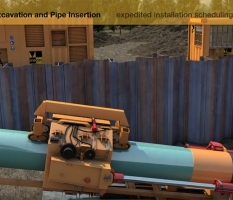 The images were animated and incorporated into a fully animated video tour of North America’s most advanced ERW steel pipe manufacturing facility. 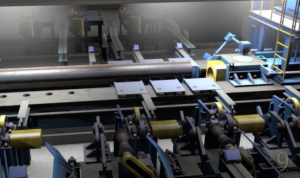 Screen shot from Ninetimes steel pipe plant tour animated video promo of hydrostatic test. 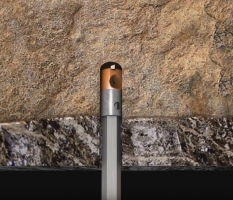 Screen shot from Ninetimes steel pipe plant tour animated promo video of hydrostatic tester. 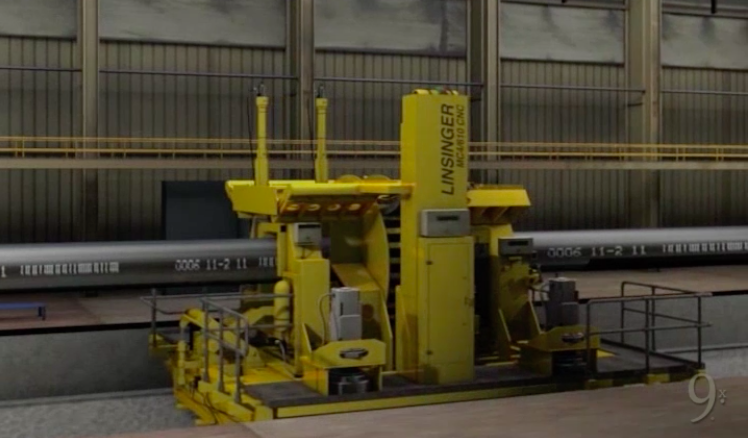 Screen shot from Ninetimes steel pipe plant tour animated promo video of flying cutoff.